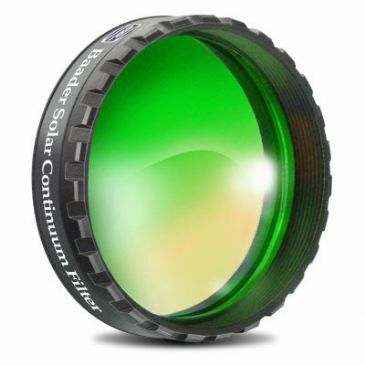 ASTF: (AstroSolar Telescope Filter) solar filters are made in the most elaborate way. AstroSolar must not be put under stress, neither during mounting the film, nor during any temperature change. For this reason the ASTF-Filter features a temperature compensated cell. 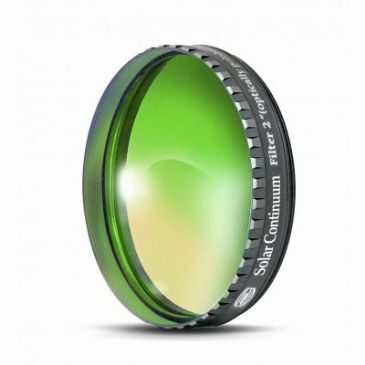 The film itself is repeatably cemented onto an injection molded ring, whereas the substrate of that ring has the same thermal expansion like the Astro Solar Filter material itself. This free floating film carrier ring is held onto the aluminum frame with the help of another holding ring made of fiber reinforced plastic - for a maximum of security against breaking of the cell. 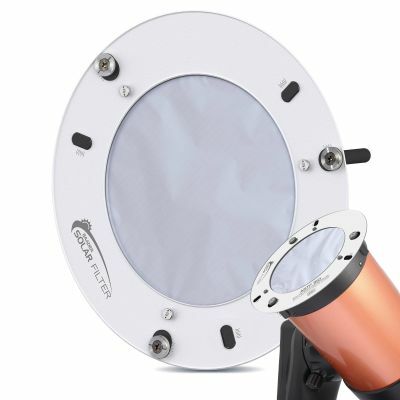 This temperature compensated cell enables the AstroSolar filter material to retain its excellent optical quality at any temperature - be it -30°C or +50°C. ASTF 80 to 280 packages all come with two sets of centering bolts in 38 mm length ( 3 bolts w.10 mm diameter and 3 bolts w. 20mm diameter ) to cover a wide range of tube diameters.